Following on from our highly successful Hawker Hunter, the BAe Hawk uses the same general design concept based around the Wemotec Minifan 480, but now takes on board the need to incorporate the latest, powerful 400 size brushless motor and Li-Po battery technology. This is a model for builders and fliers of moderate ability. Building requires the ability to carefully follow the plans and construction method yet some areas will also require a little interpretation based on experience. Flying requires a pilot used to faster than average models and a smooth flying technique. It is not a difficult model to fly, but to look nice it needs a little finesse. She lands fairly fast (relative to a sport model) and will need a shallow approach to bleed away the speed before touchdown. 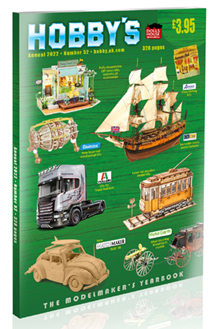 The West Wings Hawk is a true 'builders model' that comes together quickly using a mixture of highly accurate CNC cut ply and balsa parts. Many of the complex internal and external shapes are moulded in styrene plastic for ease and speed of building. This combination of new and old technologies results in a good scale representation of the RAF's current jet trainer but maintains good flying qualities across the entire speed range. By studying the full size aircraft carefully, we have managed to keep many true scale details, such as the boundary layer splitter plate between the intake duct and the fuselage. This is a detail so often omitted from model kits of the Hawk yet is so characteristic that we thought it must be included if our model was to look right! The horizontal tail surfaces are of the ‘all moving’ type and are of course in keeping with the full size also. A rudder is not included in the design, but it is easy to adapt the model should you wish to. The aileron servos (9g type) are located in the wings by the ailerons themselves and use short, rigid pushrods for positive operation. Scale details such as the flap hinge fairings are not included but they are shown on the plan for the real enthusiast to fit if he wishes. The wings and fuselage are fully sheeted for both rigidity and ease of covering, yet the final weight of the model still falls at a very reasonable 1200g (approx). The huge canopy allows easy access to the single elevator servo, and receiver. As with all brushless motors, the ESC is located close to the motor in the fan bay. The battery mounting tray is so big that positioning the battery for optimum CG location is simple. Whether you are fitting a 3200mAh or 4800mAh Li-Po there is ample room. Even a 3200mAh battery will provide good duration, with 4000mAh being the optimum. The performance is such that full throttle is hardly ever used or needed, unless you like to fly that way!!!! Provision has even been made for an internal aerial (tube not included) as each former has a locating position for it. That of course assumes that you are not using the latest 2.4gHz R/C gear, which we thoroughly recommend for our electric ducted fan models. The design of the entire intake ducting has been carefully planned using the latest CAD techniques and extensive knowledge of aerodynamics. Getting the balance right between static and dynamic thrust has resulted in only a small deviation from scale. That efficient ducting keeps battery consumption and intake ‘roar’ down and performance up, even at reduced throttle settings. The kit even includes scale cockpit detail and instrument/control panels so that you can really make a model to be proud of. All you really need to add is a pilot or two. The design is based around the Wemotec Minifan 480 and is ideally suited to the KMS Quantum 480/10 (or 14) motor, KMS Sentry 40 ESC and Impulse 3S 3200/4000mAh Li-Po battery. With this power combination, the flat out performance is stunning. Launching is by bungee, but because of the high thrust level it actually needs very little to get her flying. By incorporating the launch attachment inside the model there is only a small hole in the underside as evidence. We wouldn’t want to spoil your lovely model with an unsightly hook! With a very respectable wing loading of 76g/DM² (25oz/Sq.Ft) and effective (essential) wing boundary layer fences, you can be sure that she will not ‘bite’ while coming in to land either. 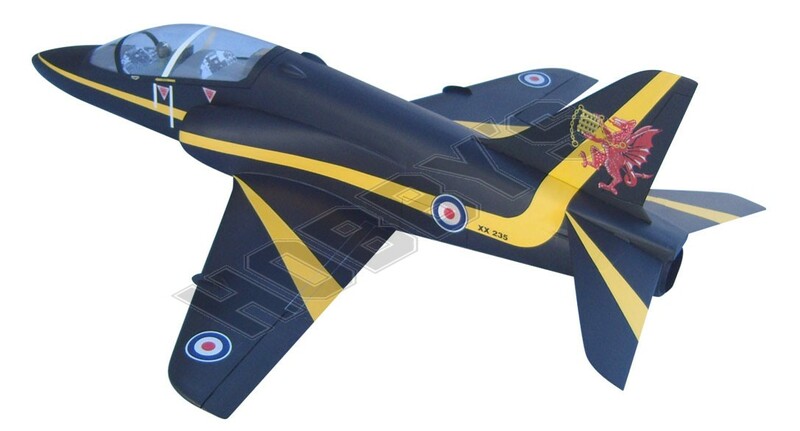 That final touch is the inclusion of a set of authentic and dramatic decals to create one of the solo aerobatic aircraft of 74(R) Squadron 4 FTS at RAF Valley in 1996. A simple yet modern colour scheme that is dramatic and surprisingly easy to orientate on in the air. A kit to enjoy both building and flying!